The photos below are used to introduce length and area as part of a CRA approach. First a student is asked to build a Lego garage. He first builds the bottom row of a wall and the teacher asks for length in terms of how many Legos are lined up. After building a wall the teacher asks for area in terms of how many Legos are used in the wall. Then the student is given a handout with the following photos. Following this handout the student finds length and area of tiled floor and walls made up of cinder blocks, if available. Eventually a ruler is introduced and multiplying to find area is presented at the end. 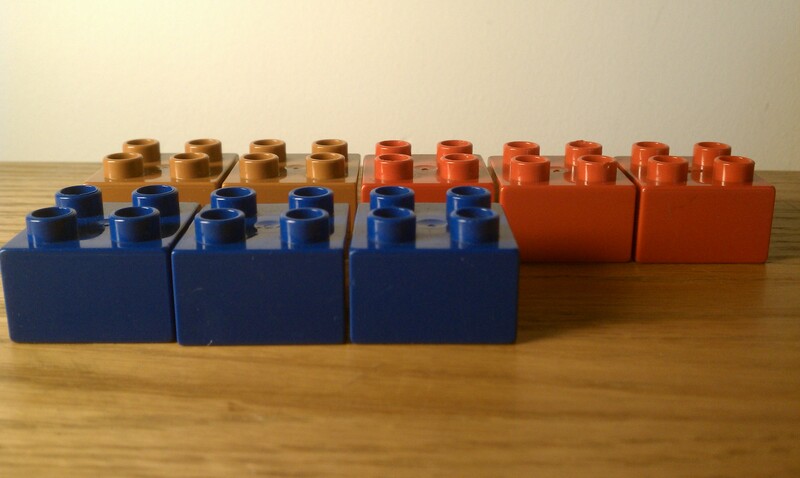 For the photo above the student is asked to count Legos to compute length. In the photo below the student is asked which is longer and to explain. 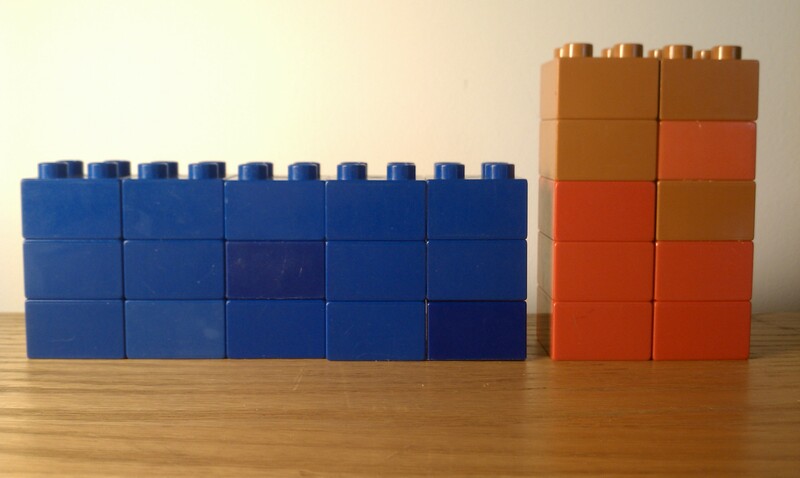 In the photo above the student is first asked to determine the area of the red wall in terms of number of Lego squares. Then the student is asked which wall has more area. This is followed by the photo below. This allows a different perspective of area.